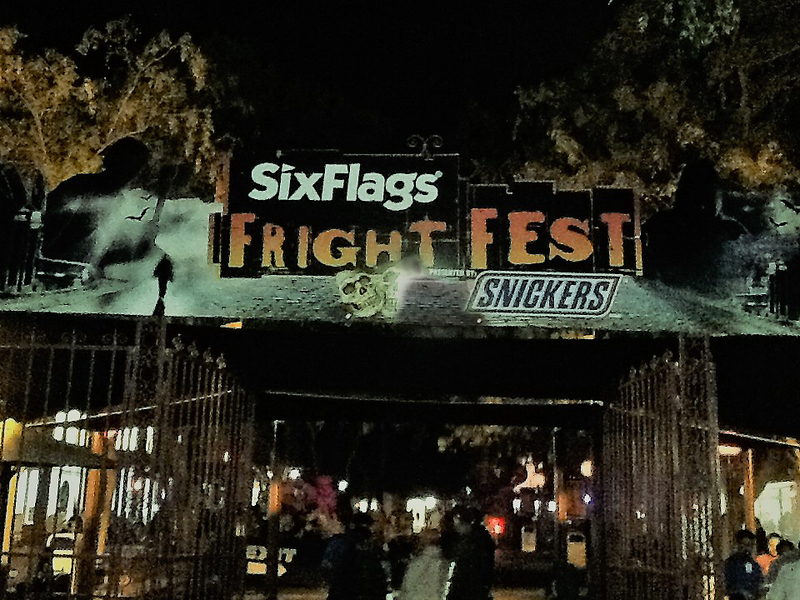 Six Flags Magic Mountain Fright Fest continues its welcome move toward more elaborate environments and distinctive themes for its mazes, but are these settings filled with sufficient scares? Read on to find out - if you dare! Six Flags Magic Mountain Fright Fest 2018 offers five new Halloween attractions: three mazes and two scare zones. Not all of these are home runs, but the batting average is good. This, plus some memorable holdovers, score more than enough to satisfy fans of Halloween Horror. This year's new mazes are Condemned: Forever Damned, Hell Fest, and Sewer of Souls. The first two are a short walk to the right from the main entrance, located next to holdover maze Red's Revenge, not far from the Voodoo Nights stage show. Sewer of Souls is near the top of Magic Mountain, near the Exile Hill scare zone and the Willoughby's Resurrected maze. Hell Fest is set in the building once occupied by Vault 666. Much of the layout remains, but the inhabitants have changed - unfortunately, not for the better. Based on an upcoming movie, Hell Fest is rather nondescript; the settings are nice, but the scares are mild, and the maze lacks the sense of unleashed chaos that made Vault 666 entertaining. The only problem with Condemned is that it seemed underpopulated; its settings deserved more monsters in order to achieve their full scare potential. On the other hand, the tight squeeze through a narrow space behind the walls of the condemned building had no room for monsters, nor did it need them to be unnerving. Sewer of Souls is set in the space previously used to house such dark mazes as Willoughby's Garden of Darkness and Dead End. 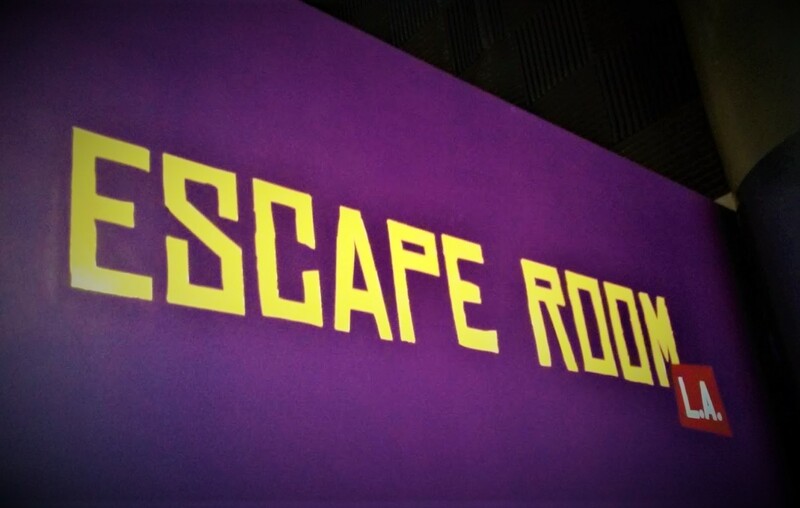 Those cost-cutting mazes (no need for sets when the audience cannot see anything) have given way to a colorful, black-light maze depicting a descent into an underground drainage system haunted by mutant creatures and deranged sewer workers. Sewer of Souls feels somewhat like a real maze (at least the people in front of us got turned around, retracing their steps to find a way out). It features the best scares-to-square-footage ratio of the new mazes: something always seems to be coming at you, whether it's a giant mechanical rat or a masked actor. Polarized glasses are worn to enhance the visuals; we noticed little in the way of 3D, but we think the maze looks great anyway. Also, we're pleased that Six Flags Magic Mountain opted not to use clowns or circuses - a cliché too often employed in brightly colored 3D mazes. At least a sewer setting is a little different. This year's returning mazes are Willoughby's Resurrected, Red's Revenge, and Aftermath 2: Chaos Rising. For the past few years, these three have been Fright Fest's star attractions, which we eagerly revisit every Halloween. It's hard for the new mazes to compete, but Sewer of Souls is a worthy addition, and Condemned: Forever Damned could make the cut if it added more actors. Six Flags Magic Mountain Fright Fest 2018 features two new scare zones, The Shadows and Witches Lair. Returning scare zones are Nightmares: A Twisted Fantasy; City Under Seige; TERRORtory Twisted; Demon's Door; and Exile Hill. Witches Lair is in the Metropolis area of Magic Mountain, near the Riddler's Revenge roller-coaster. Decorated with twisted trees and boiling cauldrons to suggest a fairy tale setting appropriate for witches, this scare zone is relatively small, but it makes clever us of its space by placing several walls to create the feel of an outdoor maze. There are more than enough entrances and exits to find out way in and out easily, but each path is haunted by grimly evil characters, waiting to surprise you as you round each corner. Very enjoyable. Fright Fest's best scare zone remains Nightmares: A Twisted Fantasy - a black-light wonderland filled with marvelous decor and strange creatures. Over the course of the past five years, Hollywood Gothique has been happy to report on the advancing evolution of Magic Mountain's Fright Fest. What was once a sort of value-added extra to the park's roller-coasters has become a Halloween event worthy on its own terms. Six Flags Magic Mountain Fright Fest 2018 sees continued movement in the right direction: both Condemned: Forever Damned and Sewer of Souls improve upon the mazes they replaced, retiring overused clichés like Dead End's dark maze and Toyz of Terror's clownish theme in favor of new ideas realized with more elaborate settings. Though not always as frightening as they should be, these new attractions combine with the haunt's returning all-stars to form a solid lineup for Halloween 2018. Six Flags Magic Mountain Fright Fest continues its welcome move toward more elaborate environments and distinctive themes. Some of the new attractions are not as frightening as they should be, but combined with great holdovers, they form a solid lineup for Halloween 2018. Note: We have weighted our rating toward new attractions by combining all the old attractions into one number (95%). If the old attractions were listed separately, the overall average would be considerably higher. Six Flags Magic Mountain Fright Fest 2018 continues on weekends through October 28. Hours are 10:30am to midnight on Fridays and Saturdays, 10:30am to 11:00pm on Sundays. Admission passes start at $94.99. Daily admission starts at $53.99 for advance sales. Maze passes start at $18; Express Maze passes start at $33. A “Daily Admission plus Maze Pass” option is “coming soon.” The address is 26101 Magic Mountain Parkway, Valencia 91355. Call 818-367-5965 for more information, or visit the website: sixflags.com/magicmountain/special-events/fright-fest-night.